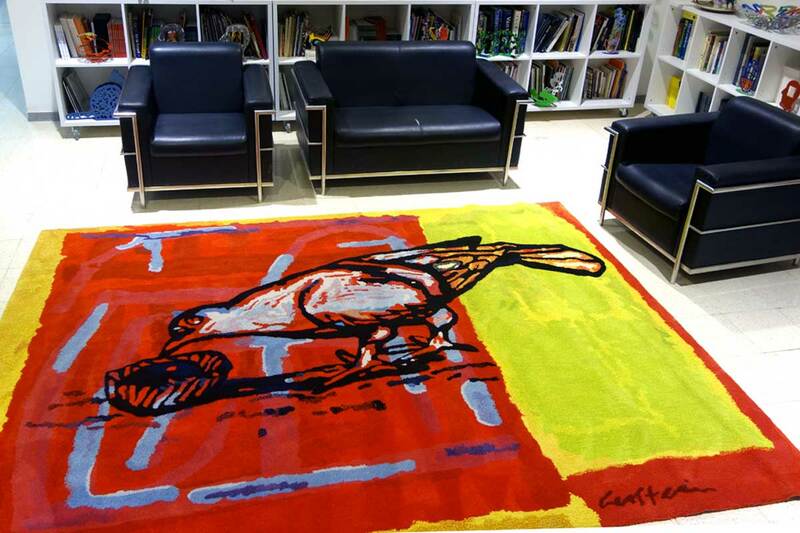 This striking carpet is Elsebeth Levy’s rendition of Israeli artist David Gerstein's original painting. 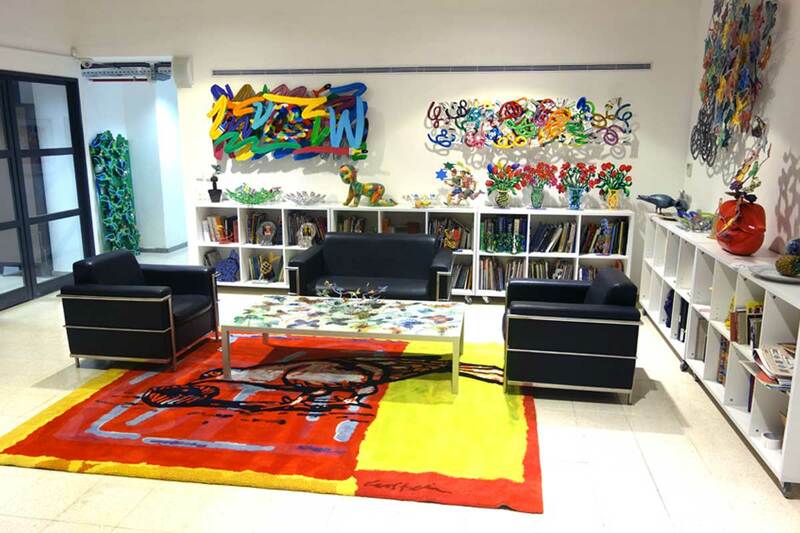 Gerstein had his own idea of how to “translate” his art into a different medium, and decided on as a floor tapestry. The tapestry is 228*300 cm and fits in with this room in perfect harmony. It is tufted in our standard-height pile, except for the bird which is raised to a high pile.